I had first volunteered my friend to be present at this site of memory but given the weather, we had difficulty with the photo frame being blown away and falling down. A nice older gentleman stopped to help us and with a bit of small-talk, we found out that he had been a member of the church since the 1980s. He spoke to us about the dwindling membership which was so revelatory given the racial history of AME churches, its formation in and for predominantly black neighborhoods, and the stark contrast I saw with its black history and its current white makeup of the neighborhood. After I asked him about volunteering to have his photo taken, he declined. But right then, an elder woman was walking up the block. 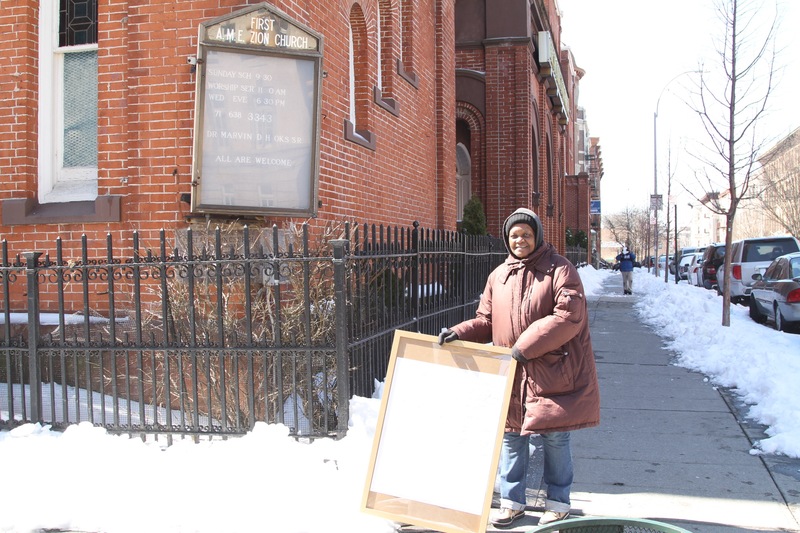 I knew she was a member since I had seen her walking in and out of the church so I approached her fervently with my interest in First AME Zion as a site of memory given its significance to Black Brooklyn. And with a bit of convincing she agreed on the spot. 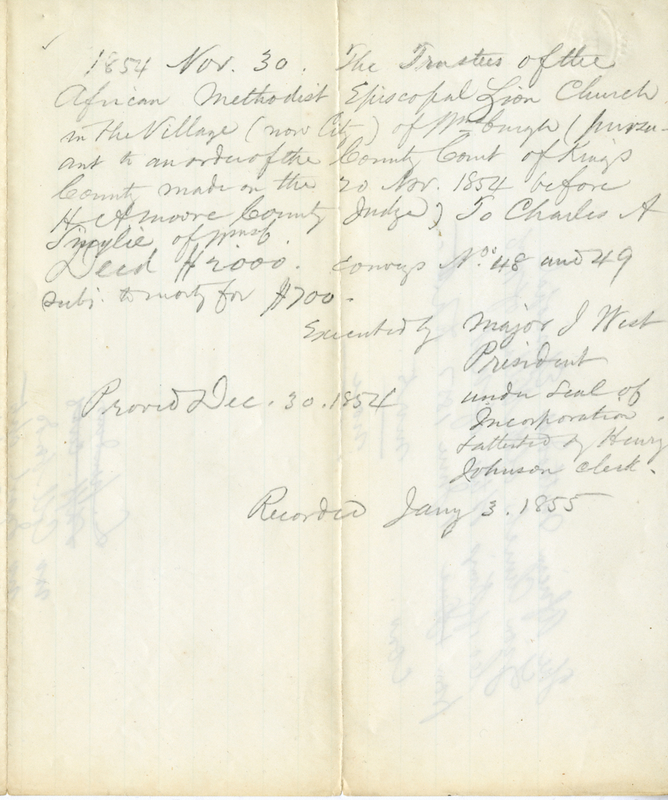 The older woman was able to pinpoint this dwindling membership (as compared to previous years) to the change in the population, particularly the movement of black people out of this neighborhood and ultimately, out of Brooklyn.